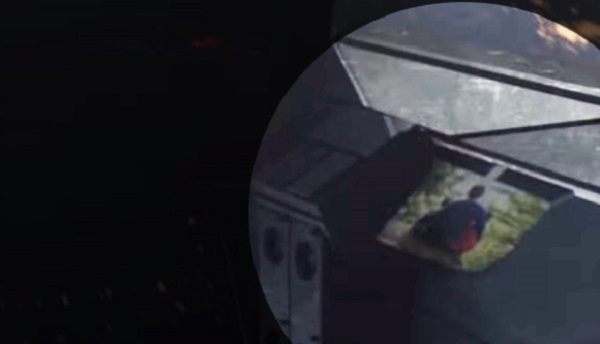 Did Mass Effect Andromeda Trailer Reveal Hero's Name? While we currently only have a few solid pieces of information concerning upcoming Mass Effect Andromeda, that’s not stopping the series’ community of fans from trying to wring every possible detail out of the trailers and screenshots we’ve seen thus far. Some details pulled from a recent trailer, for instance, may have already given our new protagonist a name. The thing about Mass Effect Andromeda is that BioWare may have announced the game a bit too early. That’s pretty common these days, with player being given the opportunity to drool over screenshots and the like for up to three years before a game actually sees the light of day. Bethesda did the exact opposite with its latest mega-hit, only revealing Fallout 4 half a year before it hit store shelves. Which route is best? That’s up to you to decide. But if you only give the fans a few scraps of details, they’ll certainly do their best to bleed it dry for information. That happened over the weekend with the recently launched N7 trailer for upcoming space opera, Mass Effect Andromeda. We know that the game is set many years after the original trilogy but, otherwise, we’re mostly in the dark on this one. But that hasn’t stopped Reddit user baananaz from going all Sherlock Holmes on the footage, possibly gleaning some background details for the next protagonist. When I watch the above Andromeda trailer, I think, “My, that was a lovely trailer. Very inspirational…And now I’m hungry.” Perhaps that’s what sets me apart from Mass Effect’s biggest fans. They see the above trailer and they start mining it for details. While most of what you see here is stock footage from real-world events, there’s a brief in-game scene of a ship leaving earth and racing off into the stars. 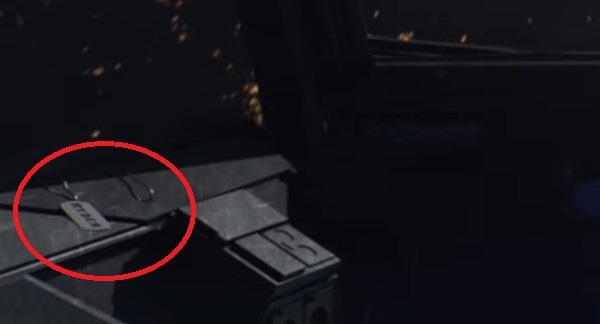 From that scene, baananaz points out that a dog tag is clearly visible and displays the word “Ryder,” which many are now assuming is the handle for Andromeda’s protagonist. Baananaz states that someone else was the first to notice this dog tag and bring it up, but they missed out on an important detail occurring on the other side of the console; specifically a photograph that appears to be an adult wrapping their arms around two kids. Now the speculation is running wild. Are you the adult and fighting for the future of your children, or will you be one of those kids and, depending on the gender you play, the other sibling might play a role in your story?